Our interview with Christina Almeida, the business woman launching a marketplace for conscious designers. 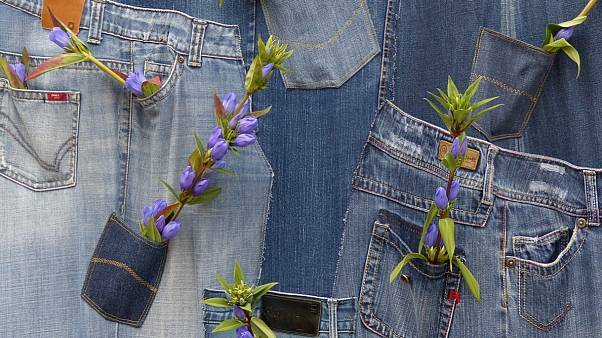 Our pick of the best ethical fashion collaborations of Spring-Summer 19. Our interview with Pandora Sykes on the importance of sustainability in fashion and how we can all become more conscious shoppers. Independent brands made in UK to keep on your radar. "Luxury also means having the time for yourself without having to live under continual pressure." The largest and most comprehensive museum display ever staged in Britain on the revered French fashion house. Responsible and sustainable high-end objects to gift this Christmas. A shop, thrift store, haberdashery, sewing workshop, café and a place to recycle pre-loved garments. The Parisian fashion house stops manufacturing products made from snakes, crocodiles, lizards and more. A journey through Latvian fashion, history and architecture, past and present, during Riga Fashion Week. Our good reads of the week. The trendiest leak-proof and fuss-free reusable flasks for your desk, home and on-the-go activities. These are no ordinary glasses. The deal has a total value of 1.83 billion euros. Enjoy breakfast with Victoria Beckham at Annabel’s, then head to ME London’s Bond villain-style lobby for a between-shows cocktail. One of Paris' last remaining feather artists Eric Charles-Donatien opened his workshop's doors for Living it. Since the 2014 revolution, a new generation of women designers came forward.